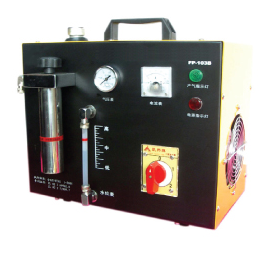 Signvec micro flame generator originally named as "HYDRO-WATER WELDING MACHINE" we have been marketing flame generators since 1997. Flame generator is widely used in jewelry industry and recently acrylic ads display. Its micro size 2,800 flame makes acrylic products polishing possible where difficult holes, corners, edges and areas traditional polishing machines are not able to reach. 2,800° C high temperature micro flame rapidly makes acrylic products edges crystal clear and silky smooth. It is an ideal polishing machine and hence the term "flame polisher". Signvec micro flame generator originally named as "HYDRO-WATER WELDING MACHINE" we have been marketing flame generators since 1997. Flame generators since 1997. Flame generator is widely used in jewelry industry and recently acrylic ads display. Its micro size 2,800 flame makes acrylic products polishing possible where difficult holes, corners, edges and areas traditional polishing machines are not able to reach. 2,800° C high temperature micro flame rapidly makes acrylic products edges crystal clear and silky smooth. It is an ideal polishing machine and hence the term "flame polisher". Signvec micro flame generator produces the high temperature micro flame by combustion of hydrogen which is generated by electrolyzing water. Simple and easy to use. "Fuel" is water (distilled) which is easy to obtain and safe. Polished surface is clean without any residue. Objects do not get over heated due to its micro size flame. Use of high quality parts for reliability and durability. Special low voltage and automatic cut-off for safety and energy saving. Combustion produces only steam (water) make it a real environment friendly machine. Polish uneven and hard-to-reach area of acrylic products. LED dies welding. Computer wires trimming. Metal welding (Gold, silver, copper...etc.). Metal parts partial heat treatment. Micro parts cutting and welding. Repair of sand holes of gears. Enamel wires lead trimming.